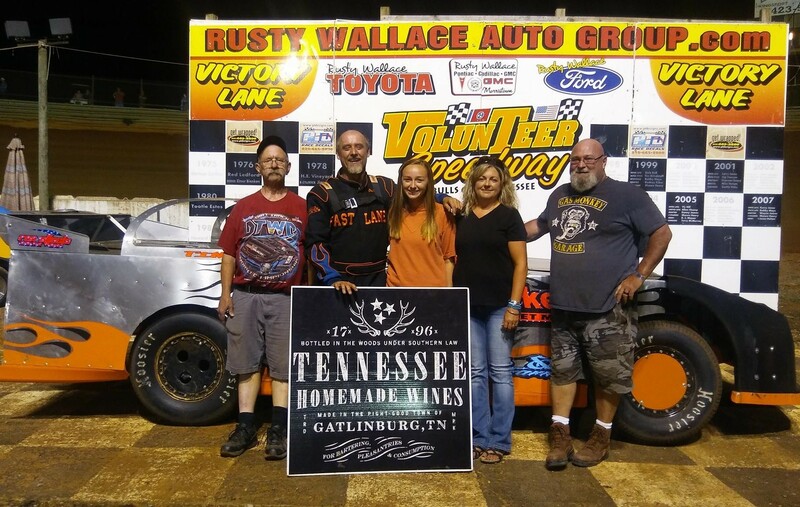 BULLS GAP, Tenn. (Aug. 4, 2018) — With schools around East Tennessee scheduled to start next week, the excellent grandstand crowd Saturday at Volunteer Speedway featured many youth enjoying a great night of Championship Points Racing with family before heading off to begin a new year in the classroom. 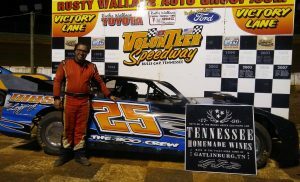 Tim Byrd of Jonesborough captured the Crate Late Model victory, while Zach Sise of Knoxville recorded the Sportsman Late Model win. Chris Rickett of Morristown recorded the Modified Street win, while Shon Flanary of Surgoinsville captured the Open Wheel Modified victory. Tony Trent of Bean Station captured the Classic victory, with Josh Henry of Newport taking the 602 Street win. The front row for the 25-lap Crate Late Model feature had former teammates Tim Byrd and Jensen Ford alongside one another. Byrd was fastest in qualifying at 13.798 seconds and Ford timed-in at 14.041. Byrd and Ford battled for the lead on the opening lap before Byrd moved to the point, with Gary Crittenden, Trevor Sise and Austin Neeley following. 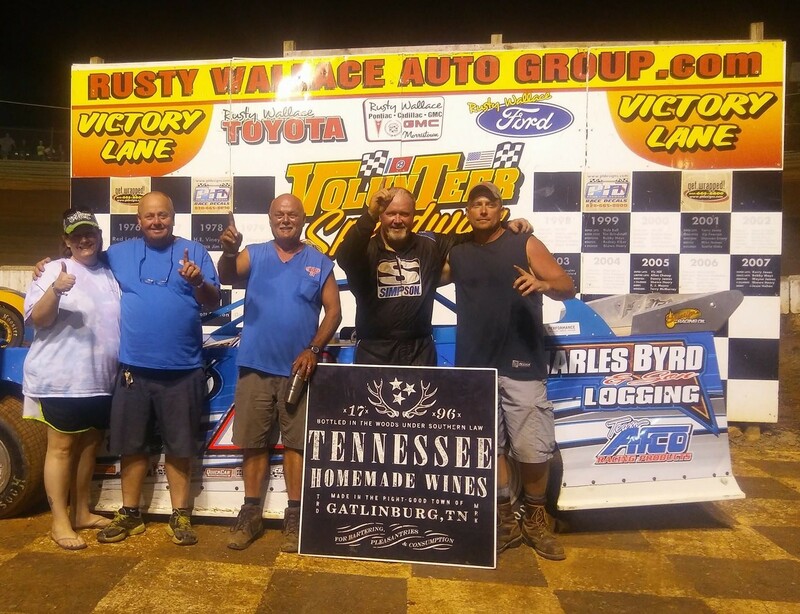 Byrd and Ford began pulling away from those in pursuit, but there was good racing from third on back through the field as Crittenden, Sise, Neeley, Rusty Ballenger, Andy Ogle, Mike Smith, Nathan Martin, Adam Tolliver and Tim Maupin jockeyed for real estate around the high banks. Even though Ford gave it his best effort, there would be no denying Byrd his second straight win. Finishing third through fifth, respectively, were Ballenger, Sise and Crittenden. 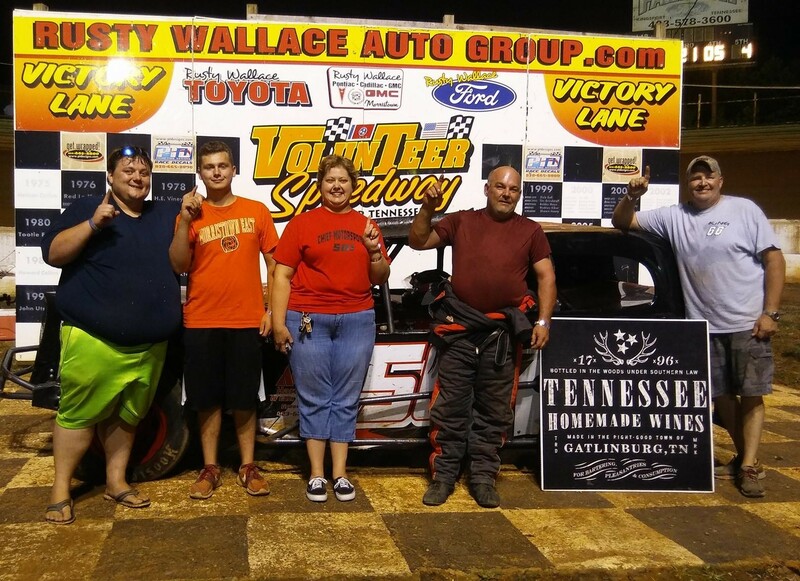 Zach Sise was clearly the dominant car in the Sportsman Late Model division. 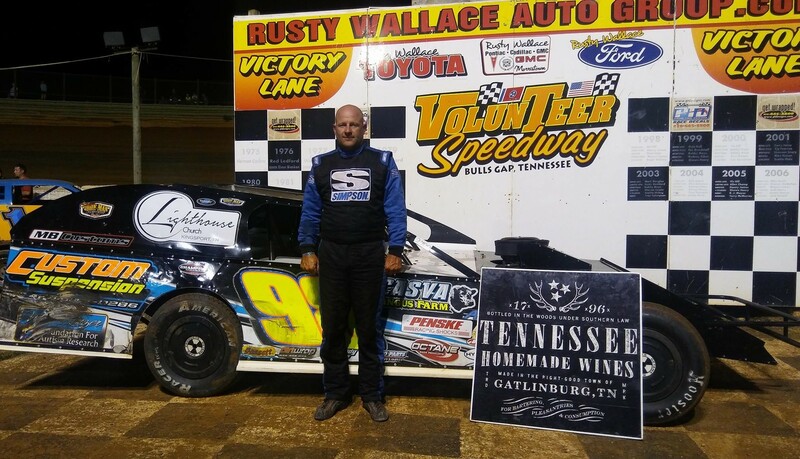 He was fastest in hot laps and backed his speed up in qualifying at 13.889 seconds to earn the pole starting position over veteran Dale Ball (five-time Volunteer Speedway late model champion – one Super Late Model and four Crate Late Model titles) at 14.369. 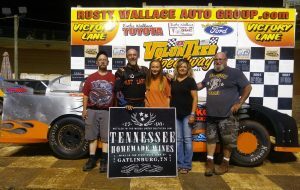 Ultimately Sise would be quickest in the 20-lap feature, as he led flag-to-flag while cruising to his third win of the season over Bradley Lewelling, Jake Whitehead, Ball and Jed Emert. … Sise had his engine protested following the race by a fellow competitor, and all was found to be legal. Chris Rickett battled with Wayne Rader on the opening lap of the Modified Street feature before taking a lead he would ultimately never relinquish. With Rickett showing the way out front over Rader, also in the mix battling two- and three-wide on occasion were Gary Blanken, Robbie Buchanan, Dustin Ratliff, Jeffrey Melton, Shannon Emery, Kurt Owens, Lance Creasman, Kaleb Trent and Bubba Long. Divisional point leader Blanken dropped out before halfway with mechanical issues, while both Owens and Melton worked their way into the top five. But Rickett would not be denied his second win of the season over Rader, Buchanan, Owens and Melton. Don Adams was fastest in Open Wheel Modified qualifying at 14.960 seconds, with Shon Flanary second-quickest at 15.072. The two veteran open-wheel chauffeurs raced side-by-side the first lap before Flanary took the lead. Throughout the race Flanary rode the high-line, while Adams chose to run around the bottom. Lap after lap the duo raced through the corners in that fashion, with Flanary using the momentum up top to pull into the lead down the straightaway. In an almost photo finish, Flanary recorded his second win of the season over Adams, Jeff Hamby, Shane Roberts and Billy Palmer. Tony Trent jumped out front early in the 20-lap Classic feature and held off a hard-charging Lee Merritt to capture his first win of the season. Finishing third through fifth, respectively, were Charles Bates, Chris Worsham and Shaun Sise. Josh Henry outran Rex Coffey, Shawn Henry and Josh Driskill to pick up the 602 Street win.